What is the Difference Between Servings and Portions? 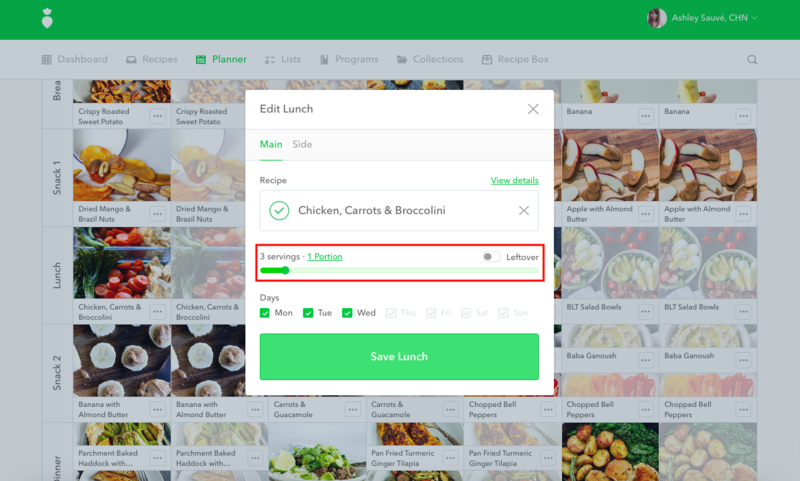 When you are creating a meal plan, you will see the option to set servings and portions for each meal. Servings are the number of servings a recipe makes. Portions are the number of servings eaten by one person in one meal. Unless you change the portions, we will always assume one serving is being eaten. 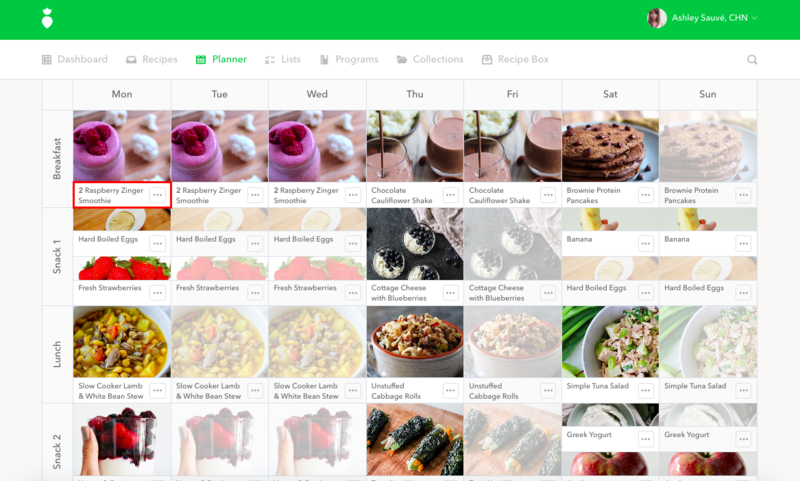 Example 1: If you are making a meal plan for one person and want them to make a recipe with leftovers for the next two days, you would set the number of servings to three. Leave the portion set to one, so they will eat one portion of the 3. Example 2: If you choose a smoothie recipe that makes two servings, but want your client to drink the whole recipe (or both servings), you would change the portions to two. 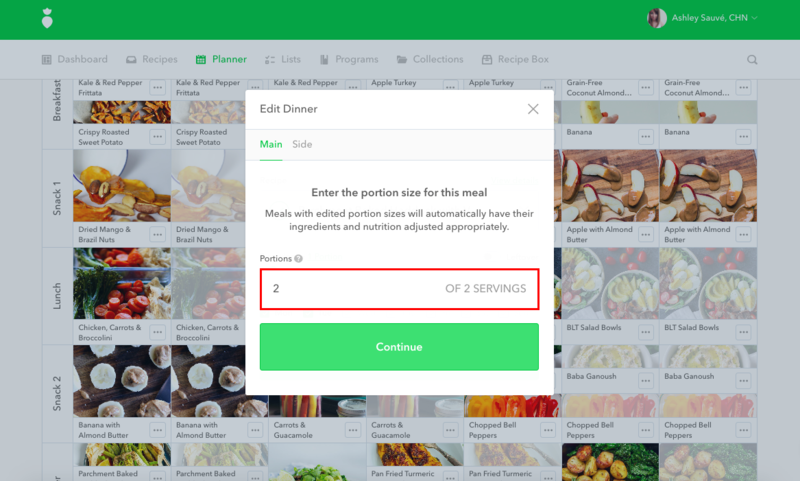 For any meal that you want your client to eat more than one portion, this will be indicated before the recipe title on the meal plan.